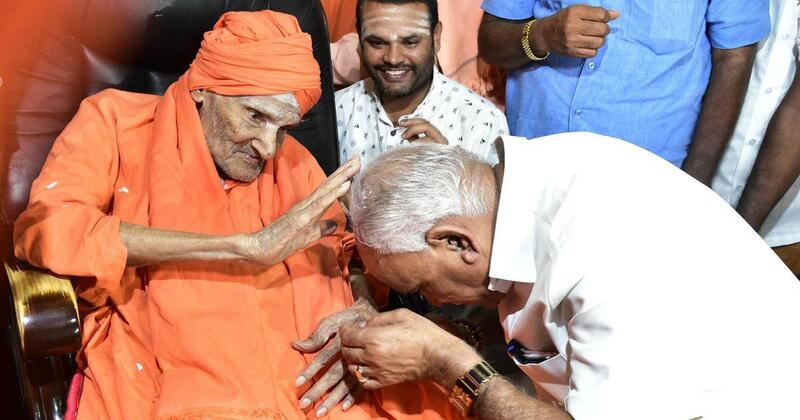 Siddaganga mutt seer Shivakumara Swami died at Karnataka’s Tumakuru ded on Monday at the age of 111 after a prolonged illness. Fugitive businessman Mehul Choksi has reportedly surrendered his Indian citizenship and passport to authorities in Antigua and Barbuda. Choksi, who fled India in January 2018, is accused of defrauding the Punjab National Bank. The Congress again criticised the Bharatiya Janata Party over the Rafale jet deal and claimed that Defence Minister Nirmala Sitharaman’s remarks on “corporate warfare” had “conclusively proved that this is a government of the suited-booted, for the suited-booted and by the suited-booted”. Union minister Smriti Irani has said that the Indian textiles and garments industry will soon get its own “country-specific” apparel sizes. The textiles minister made the statement at the Vibrant Gujarat summit in state capital Gandhinagar on Sunday. Social activist Anna Hazare on Monday said the “Rafale scam” would not have taken place if the government had appointed a Lokpal at the Centre. He announced an indefinite hunger strike from January 30 to protest against the delay in implementation of the anti-corruption law. Karnataka Chief Minister HD Kumaraswamy has praised Trinamool Congress chief and his counterpart in West Bengal Mamata Banerjee, saying she has all the capabilities to lead the country His statement came two days after he shared the stage with Banerjee at a mega Opposition unity rally in Kolkata. The Enforcement Directorate has initiated the extradition process for four Sterling Biotech promoters in a Rs 8,100-crore bank fraud case, the agency told a Delhi court on Monday. The Enforcement Directorate told the court that the accused are believed to be in Italy and Nigeria and their extradition was required for the investigation in the case. WhatsApp said on Monday it was expanding the five-recipient limit on forwarded messages to all users globally. In July, it had imposed the restriction in India after a series of lynching incidents that followed rumours spread on the messaging app. Earlier, WhatsApp users could forward messages to 20 contacts at once. National Security Advisor Ajit Doval’s son Vivek Doval has filed a criminal defamation complaint against the editor and a reporter of The Caravan magazine for publishing an article that alleged he was running a hedge fund in the Cayman Islands. Congress MP Jairam Ramesh has also been named in the complaint filed at the Patiala House Court in Delhi. Congress MLA JN Ganesh has denied that he hit another party legislator, Anand Singh, with a bottle at a resort near Bengaluru on Saturday evening. He claimed that Singh fell down and got hurt. Singh was taken to hospital with a head injury on Sunday after the alleged incident. West Bengal Chief Minister Mamata Banerjee on Monday accused the Bharatiya Janata Party of falsely claiming that her government had denied permission for a helicopter carrying the party’s national president Amit Shah to land in Malda for a political meeting. Central Bureau of Investigation official AK Bassi on Monday approached the Supreme Court against an order issued by the interim agency chief M Nageswara Rao transferring him to Port Blair. The Delhi High Court on Monday refused to grant relief to Manu Sharma, who has been convicted in the Jessica Lall murder case, on his plea seeking early release from prison. He has served 20 years of his life term. Delhi Chief Minister and Aam Aadmi Party chief Arvind Kejriwal praised party leader Bhagwant Mann for his announcement on Sunday that he had quit drinking alcohol. “Bhagwant Mann has won my heart,” Kejriwal said. The National Commission for Women on Monday issued a notice to Bharatiya Janata Party MLA Sadhna Singh for her derogatory remarks against Bahujan Samaj Party chief Mayawati. Shivakumara Swami of Siddaganga Mutt at Karnataka’s Tumakuru died on Monday at the age of 111 after prolonged illness. The religious leader was undergoing treatment for a lung infection recently and was brought back to the mutt on January 16. Swaraj India President Yogendra Yadav on Monday said the United India rally in Kolkata held on Saturday gave him no hope, and that the country needs an alternative, not just opposition, to Prime Minister Narendra Modi. Former Jammu and Kashmir Chief Minister Farooq Abdullah on Sunday said the Valley witnessed its worst phase under the Mehbooba Mufti-led alliance government of the Peoples Democratic Party and the Bharatiya Janata Party as both parties communalised Hindus and Muslims. Congress President Rahul Gandhi on Sunday responded to Prime Minister Narendra Modi’s jibe at the Opposition rally in Kolkata and said the cries for help he had mentioned were of commoners “begging to be freed” from the NDA government. Union minister Prakash Javadekar on Sunday claimed there was no alternative to Prime Minister Narendra Modi and that there would be “anarchy” in his absence. He was commenting on the Opposition rally in Kolkata last week, where several leaders joined hands against the Bharatiya Janata Party ahead of the upcoming Lok Sabha elections. A group of 31 Rohingya Muslims, including 16 children, have been stuck near the India-Bangladesh border in Tripura since Friday, with neither side ready to accept them. The Madras High Court on Monday issued a notice to the Centre seeking its reply by February 18 on a petition challenging the constitutional amendment granting 10% reservation to economically weak sections of the upper castes. Dravida Munnetra Kazhagam’s organising secretary RS Bharathi had filed the petition on Friday. The Gorkha Janmukti Morcha has said it would end its alliance with the Bharatiya Janata Party-led National Democratic Alliance government and expressed interest in joining a third-party alliance ahead of the upcoming Lok Sabha elections. GJM President Binay Tamang wrote a letter to West Bengal Chief Minister Mamata Banerjee informing her of the decision. Chief Justice of India Ranjan Gogoi on Monday recused himself from hearing a petition challenging the appointment of M Nageswara Rao as the interim director of the Central Bureau of Investigation. The plea was filed by non-governmental organisation Common Cause earlier this month. The wealth of Indian billionaires rose by Rs 2,200 crore a day last year, with the top 1% of the country’s richest getting richer by 39% as against a 3% increase in wealth for the bottom-half of the population, according to a study by Oxfam released on Monday. The document, released before the start of the five-day World Economic Forum in Switzerland’s Davos, said 13.6 crore Indians, who make up the poorest 10% of the country, have remained in debt since 2004. Businessman Mehul Choksi, who is accused of defrauding the Punjab National Bank, has surrendered his Indian citizenship and passport to authorities in Antigua and Barbuda. 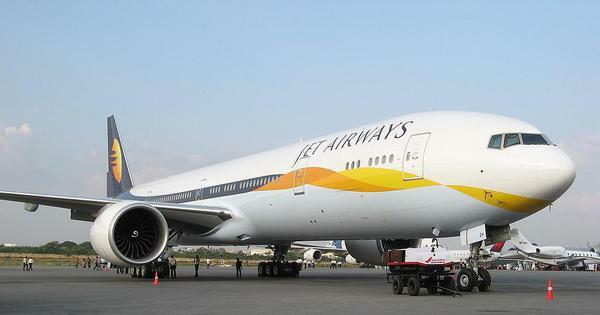 Choksi had fled India in January 2018, a few weeks before the Rs 13,600-crore scam came to light. In August, he claimed he had “lawfully applied” to become a citizen of Antigua and Barbuda to expand his business interests in the Caribbean. Jat leaders from across the country on Sunday warned the Bharatiya Janata Party that they would vote for its rivals if the Centre did not comply with their demands for reservation for their community. Jat leaders from Uttar Pradesh, Rajasthan, Haryana, Delhi and Madhya Pradesh united under the banner of the All India Jat Arakshan Bachao Maha Andolan. Activists have questioned the recent appointment of former Law Secretary Suresh Chandra as a central information commissioner, terming it an “arbitrary process” since he had not applied for the post. According to documents released by the Department of Personnel and Training, Chandra’s name was not on the list of 280 applicants to the post. However, he was among the 14 names that were short-listed. Bharatiya Janata Party ally Janata Dal (United) on Sunday said it would oppose the Citizenship Amendment Bill in the Rajya Sabha. The Lok Sabha had passed the controversial bill on January 8. “We have decided to oppose the Citizenship (Amendment) Bill, 2016, because it is against the spirit of Assamese ‘asmita’,” said JD(U) national general secretary KC Tyagi. An investigation into alleged irregularities at the Bengaluru Central Prison has found that drug abuse and use of mobile phones was rampant there. The inquiry, led by Indian Administrative Services officer Vinay Kumar, found several lapses in the overall prison conditions and had submitted its recommendations to the Karnataka government last year. Two people were killed and 43 others were injured during a jallikattu event in Tamil Nadu’s Viralimalai on Sunday. The event was organised by the state’s Health Minister C Vijaya Baskar, allegedly to “set a record”, and flagged off by Chief Minister Edappadi K Palaniswami. The Congress on Sunday attacked the Bharatiya Janata Party over the Rafale jet deal and claimed Defence Minster Nirmala Sitharaman’s comments about “corporate warfare” proved that the Narendra Modi-led government had given preference to corporate interests over national interest. The Indian Navy on Sunday abandoned efforts to pull out the decomposed body of a miner it spotted last week inside a coal mine in Meghalaya’s East Jaintia Hills district, citing too much disintegration. The Uttar Pradesh Police have booked Irfan Hussain, the Shahjahanpur district president of the National Students’ Union of India, for allegedly threatening a student who complained of molestation. The NSUI is the student wing of the Congress. The Ayyappa shrine in Sabarimala closed on Sunday, marking the culmination of the 67-day-long annual pilgrimage season marked by massive protests over the entry of women of menstruating age. Bharatiya Janata Party general secretary Ram Madhav on Sunday said the BJP and “some friends” will form a stable government after Assembly elections are held in the state. A Sikh man working at a convenience store in the United States was attacked in an alleged hate crime last week. Harwinder Singh Dodd was kicked and punched in his face at the store in the state of Oregon. Congress President Rahul Gandhi has condemned the detention of Manipur journalist Kishore Chandra Wangkhem under the National Security Act. Former Jammu and Kashmir Chief Minister Mehbooba Mufti on Sunday claimed that “fanatic elements” were threatening Muslims in the Jammu region, and warned of “dangerous consequences” if the administration does not address the problem.